Filmed by Duane Bradley and I last fall. 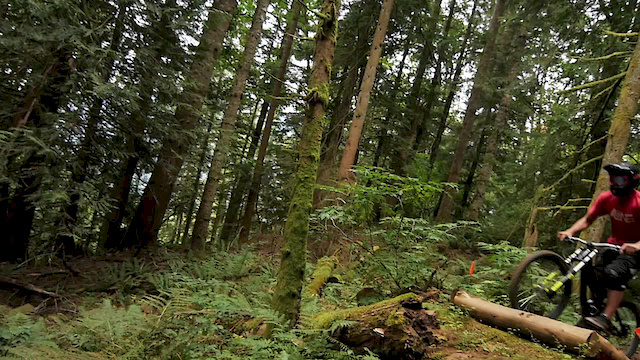 Wyatt Griffioen shreds the DH Freeride trails at Vedder Mountain in Chilliwack. The conditions were perfect, solid dirt, no puddles, everything was rideable. We filmed the entire day and we got a LOT of footage! We shot a number of different trails, capturing all the steep, gnarly, technical stuff and also some cool jumps. I was filming with my Panasonic GH4 and Duane was using his GH2. I love how the music is perfectly timed to some of the wheel chatter and lines through that gnar at around 2:51. Cool editing. thank you, I spent extra time on that whole section so it would be something interesting. I'm from Quebec, and when I made the trip to BC in 2008, Vedder was my favourite non-lift-accessed mountain. The best video of my home mountain I have ever seen! The music goes really well with the intensity of the riding. Amazing rider skills man! Wish I could ride Vedder like that. Some really cool lines I have never seen before, the lines you only find or show themselves when the conditions are perfect like that. There is some real harmony and syncronization going on in this edit man. Well done! A friend and I are headed to Vedder tomorrow, so I checked out this video to see what it was like. Just realized that I coincidentally stumbled upon his youtube page and had been watching his Whistler videos for the past hour. Props all around. So nice guys, good riding, beautiful trails, and the surroundings......BC of course!! rode Vedder for the first time last weekend. Massive credit to the trailbuilders of FVMBA. The trails were fantastic! reach for the lasers, safe as f*ck. When was this filmed? If you don't mind.